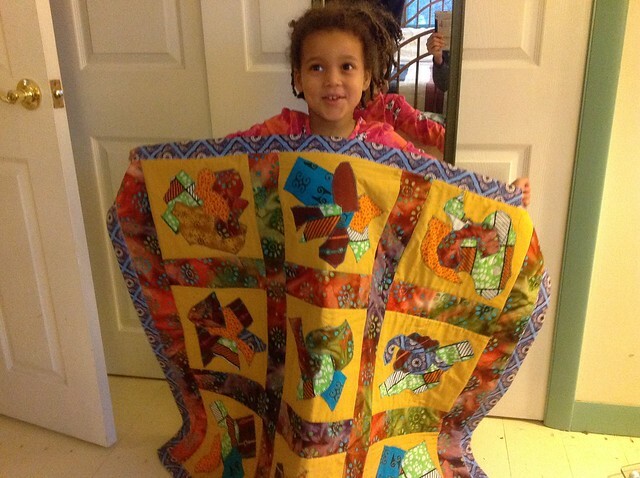 So I was talking to my daughter on video chat (she'd been staying with my parents for a few days while I recovered from yet another bad cold) when suddenly she surprised me with a gift she'd been making for her baby sibling — a quilt sewn from scraps of African wax print fabrics left over from outfits my mom and I made for her (like this one). I have to say I was a little stunned. I knew she was getting interested in sewing, but I haven't even finished making a quilt myself in years (though I keep meaning to before baby comes—we'll see). ... and arranged them into various formations for my mom to appliqué to the blocks. 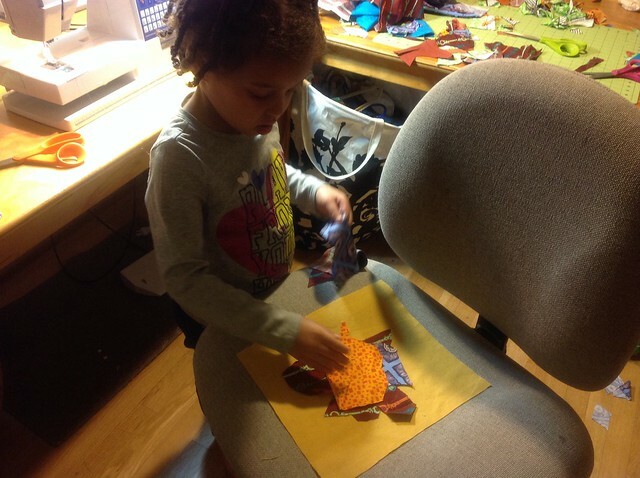 She also sewed some of the straight stitching lines herself. She is so proud of herself, and I really can't blame her! That is so so super cool! I would be such a proud mom right now. You must have been such a great inspiration and teacher for your daughter to carry this off. Props go to Grandma too! Grandmas are the best! 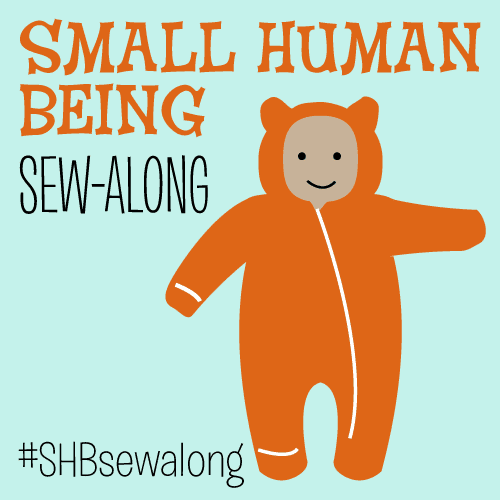 I learned to sew from mine too! I am a proud mom for sure! And I learned a lot about sewing from my grandmother as well (my mom's mom) so it's so fun to pass on a family tradition. Ha, maybe bring it to next sewing club and she can help you? I have an unfinished quilt that I started when I took a class with Denyse Schmidt years ago... maybe she can help me too. Wow! That is really cool. 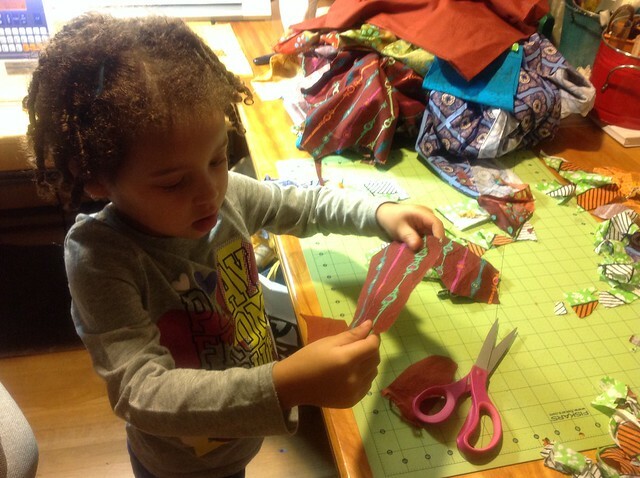 It's great to have a mom and a grandma to encourage creative sewing. And I'm glad you got to rest up and get over your cold. What a great surprise! My mom really is the best. I am finally recovered I think, so hopefully no more nasty colds or sinus infections before baby comes. Okay. I cried a little. What a thoughtful girl and mom you have! They made a gorgeous quilt. Definitely feeling better, and seeing this gorgeous quilt definitely did not hurt! I am hoping this is a sign of how excited she is to be a big sister, as I'm definitely worried a bit about jealousy... she's such a mommy's girl. Wow! Kudos to Z and to your mom! That's a lovely quilt and it's full of great memories! I'm sorry to hear that you have been ill--I hope that you get better soon. That is such a great project/present! She looks so proud of it, and everyone will cherish that quilt down the road. This is so, so sweet!! What a wonderful project for them to do together and for her to give the baby. The quilt is quite pretty too, she's right to be proud! Holy. Cow. This is the best thing ever! I'm all teary-eyed reading this! How sweet! WOW. That is the sweetest thing ever. And look at her go! She is so talented!!!! Z is just the coolest! What an awesome, awesome gift! I think this is such a sweet thing for a big sister to do!